Pokémon Go is a big deal. And why not? It’s super fun, it’s genuinely new, and it gets you outside and exploring new places with friends. We understand the lure of seeking out rare Pokémon such as the elusive Audino, the feisty Basculin, and of course the highly sought after Pikachu. As in all things, though, it’s all fun and games until somebody gets hurt. Have a little common sense when playing this fun new augmented reality game. Keep an eye on your surroundings. Maybe think twice before venturing out in the middle of the night. You could get into real trouble playing Pokémon Go. You could even get hurt or worse, and there have been plenty of news stories showing just that. Sadly, there aren’t any healing potions in real life. The problem with Pokémon Go from a safety standpoint is the way it decides where Pokémon will appear. 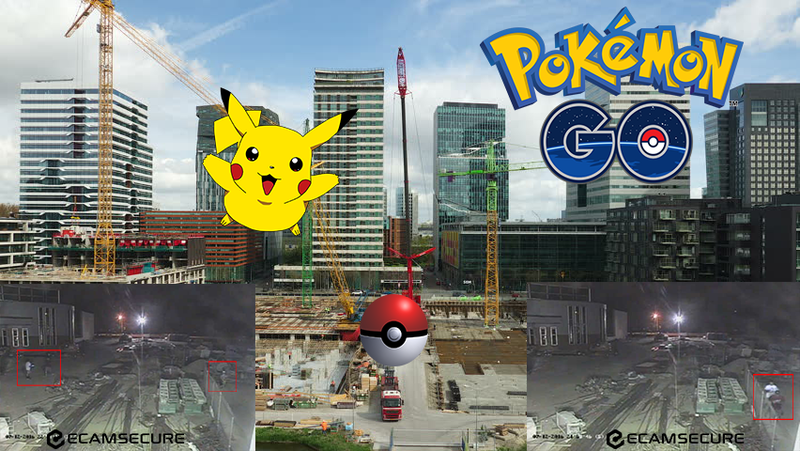 The game is algorithmically generated from Google Maps data, and it uses “landmarks” like businesses and park features to create Pokémon nesting grounds, gyms, or item shops (Pokéstops). It doesn’t seem like real people at The Pokémon Company look at the maps to make sure those landmarks make practical sense, at least not yet. What that means is that there Squirtles in abandoned buildings, Mews in utility structures, and Dittos in fire stations and Mewtwo’s in construction sites. People shouldn’t just go waltzing into these places, and especially not at night. We’re hopeful that in the future there will be some way to request a location be removed from the game. As it stands, there are some pretty ill-advised ones, to put it mildly. Add to that the tendency for Pokémon Go players to shamble along, eyes glued to their screens, and it kind of creates a recipe for disaster. Think Mr. Magoo at a construction site. Here are 5 places Pokémon tend to show up, and we tend to wish they wouldn’t. If your quest to catch ‘em all leads you here, please don’t enter at night, and definitely, don’t trespass. It doesn’t hurt to politely ask permission to enter, but do it during regular business hours, don’t do it in an obtrusive way, and if they say no, it’s best to just move on. Those Pokémon will show up elsewhere. In general, it’s just common sense. If you need to climb a fence go past a ‘No Trespassing’ sign to find a Pokémon, that’s a pretty good indicator that you should find a happier hunting ground. Construction sites are dangerous. They’re full of heavy equipment, unstable platforms, holes, ledges, and all kinds of materials that may or may not be just itching to fall over. They are no place for untrained personnel, especially at night. They’re usually unlit and pitch black, and your night vision is already going to be compromised by staring at your phone. Can Pikachu see in the dark? We don’t know, but we know that the average trainer can’t. Whether or not a construction site is locked and secured, it is trespassing to enter it. It’s private property just like a house, and you could be prosecuted if caught. You are very likely to be caught by security cameras or guards, and you’ll incur a heavy fine or even jail time. We actually make and monitor security cameras for the construction industry, and it’s pretty shocking how much of this we’ve seen lately. Take a look at these photos. Construction cameras can see at night, they can be monitored 24/7, and they can see you. Our operator didn’t know whether to be angry at the intrusion or bite her nails hoping these kids wouldn’t get hurt. A little of both, it turned out. Here’s the thing about Pokémon Go. Because it’s based on Google Maps data (algorithmically generated, remember? ), sometimes it will think it’s sending you to a cute little coffee shop to slurp some caffeine with a Charmander. But it’s not sending you to a coffee shop. The coffee shop closed six months ago, and now it’s a vacant storefront. If you find yourself in this situation, you’re probably frantically walking around the building trying to get within the zone where you can start flinging balls. Depending on your luck, you might not be able to do that. You might be tempted to try to get inside the building. Somebody owns that building even if there isn’t an operating business there, and they’re not going to be happy at what is essentially a break-in. What’s more, the structure might not be well-maintained. The floor might have holes in it, they might be fumigating for pests, or who knows what. It’s not worth it. Just ask, please. Go in during the day and ask if you can play your game. Be respectful, and move on if they refuse. In many cases, they’ll probably roll their eyes and invite you in. Be thankful, perhaps leave a donation, and go about your business quickly. This goes for operating businesses, too. If that coffee shop with the Charmander is open, buy a bagel before you pull out your phone. If you are playing at night and spot a Pokémon in police, fire, or electrical substation, it’s a really bad idea to call 911 to ask permission to enter. Call the non-emergency line if you absolutely must, but please don’t tie up 911 operators to tell them your Skitty is stuck in a tree. Frivolous use of 911 is actually a crime in many places, and it’s always a misuse of potentially life-saving resources. Those operators have better things to do! Hopefully, we don’t have to tell you not to try to break into a police station. What you might not be totally aware of is that breaking into other public buildings is just as bad. It’s a serious crime, even if you enter with no intent to steal or vandalize. Parks usually have posted operating hours. Pay attention to them and don’t go in after they’re closed. Although they’re often not locked up at night, you can still get in trouble for trespassing. For parks that do allow visitors at night, be extra careful. Like the police have been saying since Pokémon Go first came out, it’s just good safety sense to keep an eye on your surroundings. There have been numerous reports of Pokémon people getting robbed or worse. Remember that you’re in the real world, and remember the kind of people who typically hang out in parks in the middle of the night. Those people are still there, and they don’t care about Pikachu. Maintain situational awareness, and get out of there if you feel unsafe.